This Monday, April 8th, we will be having our annual Intramural All-Star Basketball game. BUT this time the two teams will be divided between students from The College at Southeastern and Southeastern Baptist Theological Seminary for all the bragging rights and privileges! 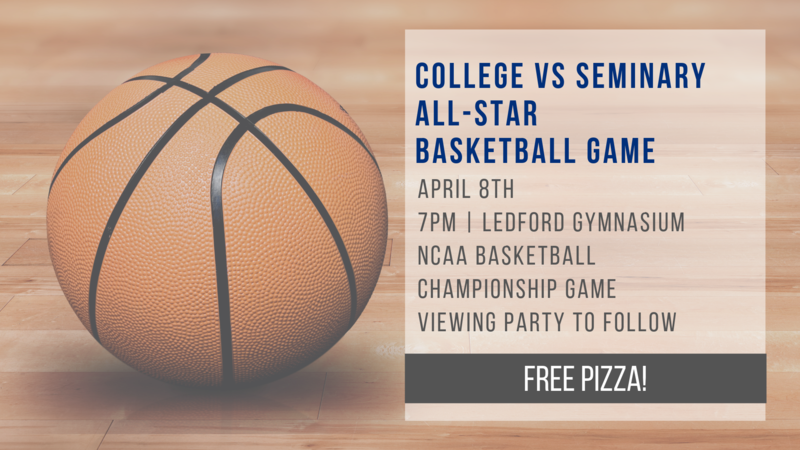 Immediately following the game, there will be a viewing party for the NCAA Basketball National Championship game at 8:30pm! Free pizza and other refreshments will be provided! So come join us for a night of fun!